Following your quest to be published saga with interest and a hope that it will soon bear fortune. Can’t wait for the next installment. Thanks Michael. This is exactly what I needed to hear today. Terrific article, very thoughtful. I attend conferences for the same reason – to be with like-minded people who obsess over the same things I do. Thanks for stating it so eloquently. My main memory of Breadloaf is how bad it all smelled: the cottages were mildew pits, and the inn rooms stank of vintage cooking grease. The campers were either clueless or pretentious; the food ran to stringy spinach and unnatural jellos. I did, however, witness a crowd of groupies compete to autograph the bare rear end of a prominent male poet, so the two weeks weren’t entirely wasted. 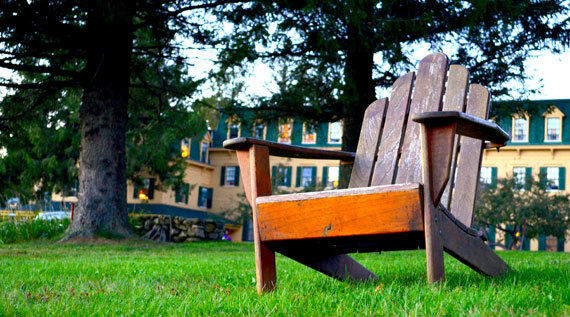 That feeling, that you’re a part of something larger, is a vital to the Bread Loaf Writers’ Conference. However, it’s also something so few people recount in their descriptions of their experiences. Thank you for that. I’ve not been to Bread Loaf since 2007, but you brought it all back for me. Having self-published (1985 Books in Print) a book entitled “Outdoor Drama” while living in Chapel Hill) , although a Middlebury College graduate (1946), I headed to Santa Barbara to visit my daughter’s family so that I could attend the prestigious Santa Barbara Writers Conference both in 1987 and 1988. At least the second year I signed up for credit I could claim from UCSB. I was seeking a real publisher for the second edition that is yet to become a reality. When I visited the SBWC at one of the 4 p.m. public lectures during a later year, one of the organizers actually asked me “Did you ever hear of anyone who actually located a publisher at a writers conference?” when I related this. So until reading your story just now, I have been resigned to the idea that one does NOT conclude business with publishers during writers conferences. One story of a SBWC participant that possibly explains how it could be done reveals that the faculty members got behind the writer of a winning contest entry of 40 pages length entitled “Fried Green Tomatoes…..” Several faculty members recommended her winning story to a publisher who was impressed and asked Fannie Flagg if she could lengthen it to 400 pages. In her address to the conference the next year, she said, “So I went out and bought 400 sheets of paper and filled them.” Can you actually document the percentage of participants at Bread Loaf who are so lucky as to find a publisher? I was not at Bread Loaf in 2012, Michael, so I am sorry I missed you. I was there each August from 2008 to 2011, and was fortunate enough in that last year to have been awarded a Scholarship. You’ve captured the Bread Loaf experience -that sense of belonging – or perhaps longing AND belonging – perfectly. It’s a rich diet on which to nourish a starving artist. The craft classes and lectures are often riveting. The opportunities to listen to publishing professionals, to absorb and learn and discuss, are second to none. I met wonderful, dedicated writers. I met a writer who will be my First Reader til death do us part. But from my first year there, I was made aware of Bread Loaf Addiction – Bread Loaf becoming the center-peice of the year for a certain large percentage of the participants- and I was determined not to fall under that spell. I went there to improve my craft -I did – and learn about the business end of writing. I was working on the same novel the entire four years I was there. I met three agents who agreed to read my novel manuscript when I completed it late last year. Although none of them took me on, I shortly thereafter found an excellent, deeply experienced agent who is truly passionate about my book. She is showing the novel now. Bread Loaf, and my own hard work, brought me to this point. Apply to Bread Loaf to greatly enhance your craft, and to give you confidence in dealing with agents and editors. If it does that that you will be richly rewarded. 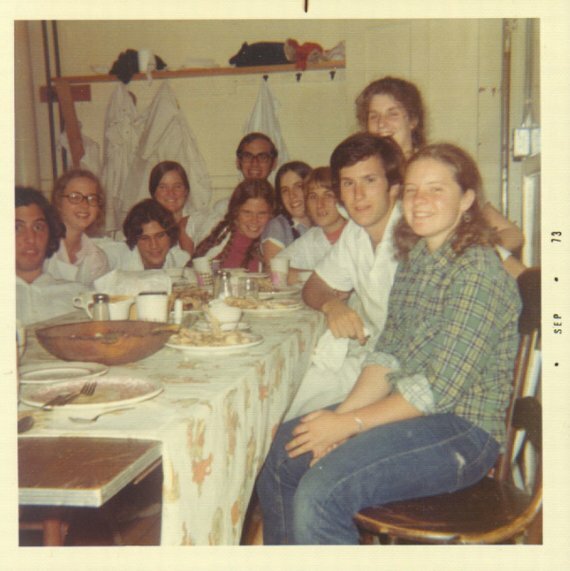 But having said that, I have met a number of people at Bread Loaf who did in fact meet either their eventual agent or editor at the conference. Your work just has to be ready. Let me reassure some and disappoint others by saying that the buildings no longer smell of mildew, and the chances of witnessing a famous poet’s derrière being embellished by groupies are next to nil. Great article Michael, you really captured the experience, the lonely insanity of our strange obsession temporarily banished. Is there a good soul out there that can give my daughter some support? she was nomimated by her employer last week for the Bread Fellow. She has been writing like mad while teaching full time and tutuoring students after school. The has questions but everyone is so busy these days. I know this is unrelated to this blog but your ar ethe best hope I could find on line. When Binelli encountered a group of German college student poking through the gutted Packard plant, he asked what had inspired them to vacation in Detroit. One gleefully replied, "I came to see the end of the world!"